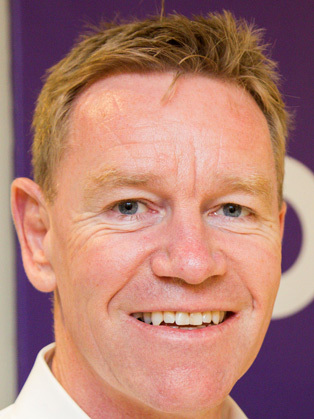 Having had a successful career including a number of senior executive roles in the media & advertising industry, & latterly as Global MD in the hyper-tech, hyper-growth professional social network LinkedIn, Clive Punter decided to walk away from LinkedIn in late 2011, despite his business success. He felt he had greater potential & LinkedIn wasn’t the place where he could optimise his true potential. (Even though LinkedIn is a great company). He wanted to discover the place where he could achieve his potential, the place where his talent meets his passion & reward in business – what he calls his GeniusQ. This is where senior executives can be the best version of themselves, where they thrive, their professional ‘sweet spot’ & in their ‘zone’. Clive believes every Senior Executive has their own genius (Q); very few of them have deep consciousness of this ‘place’. Senior Executives could be more successful & fulfilled if they fully understood their sweet spot & how to live it consciously. Successful senior executives are defined by their successful careers. Their success is defined by high achievement and high reward (not necessarily financial), which increases their potential curve. The challenge is, most businesses and senior executives’ future success is determined by performance not potential. In fact, most businesses develop & motivate their senior executives to drive performance & most senior executives measure their success by their performance. Few businesses invest in understanding & driving true executive potential outside of hiring, promoting or exiting people. Few senior executives invest time in understanding their own potential & how they could optimise their potential. By opitmising potential, senior executives & businesses perform better, lead more fulfilled careers & have happier lives. In this highly competitive world, having senior executives living their GeniusQ is a huge DNA differentiator. Clive founded GeniusQ with the mission of elevating CEO’s & Senior Executives’ businesses, career and lives. He does this by helping them truly understand their potential: what got them here, where they are, why they thrive, what they truly want (need & desire), and how to get ‘there’. He has developed the GeniusQ method, which provides the canvas for discovery, formation & execution. Clive has worked with a number of senior executives from some of the worlds best companies.